In our race towards modernity, amidst all the technological innovation and the rapid growth of our cities, silence is now quickly passing into legend. Beginning with an ode to John Cage’s seminal silent composition 4’33”, the sights and sounds of this film delicately interweave with silence to create a contemplative and cinematic experience that works its way through frantic minds and into the quiet spaces of hearts. 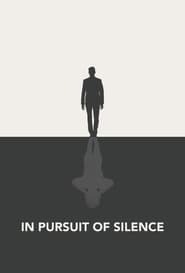 As much a work of devotion as it is a documentary, IN PURSUIT OF SILENCE is a meditative exploration of our relationship with silence, with sound, and the impact of noise on our lives.